"They are terrific! Not chalky, but creamy and delicious. These can be stored at room temperature, or frozen. 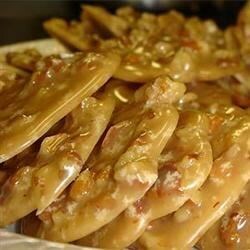 Can't beat pralines from Louisiana!" Did not like this recipe. I used this recipe under ideal conditions and followed the directions precisely. The result was a total failure. The pralines were more like sugared pecans - grainy and gritty. I followed instructions but had no luck with the recipe.